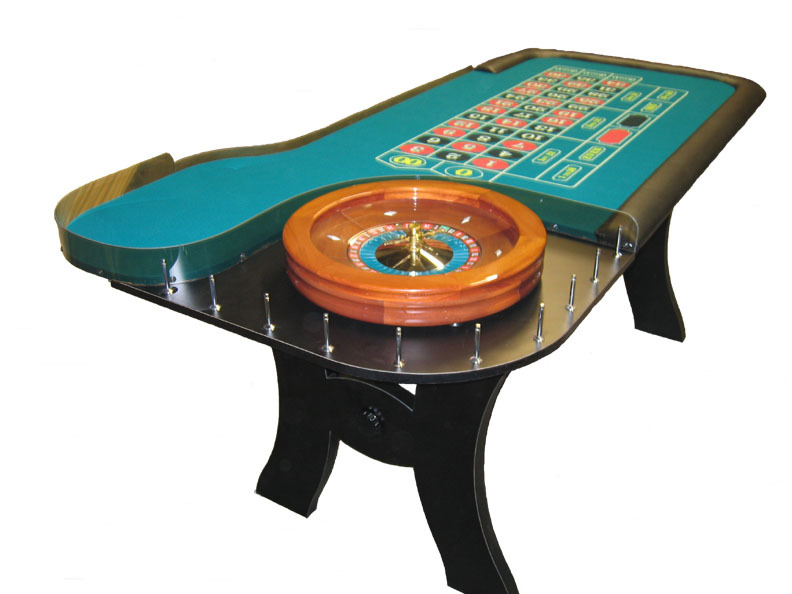 This "Club Special" Roulette Table makes a great permanent addition to any game room and features H frame legs, a billiard cloth layout, and padded armrests (red or black). This table measures 96"L x 48"W and can accommodate a 19" to 25" roulette wheel (sold separately). For additional information on our Club Special Roulette Table, please contact us at 1-800-233-0828.